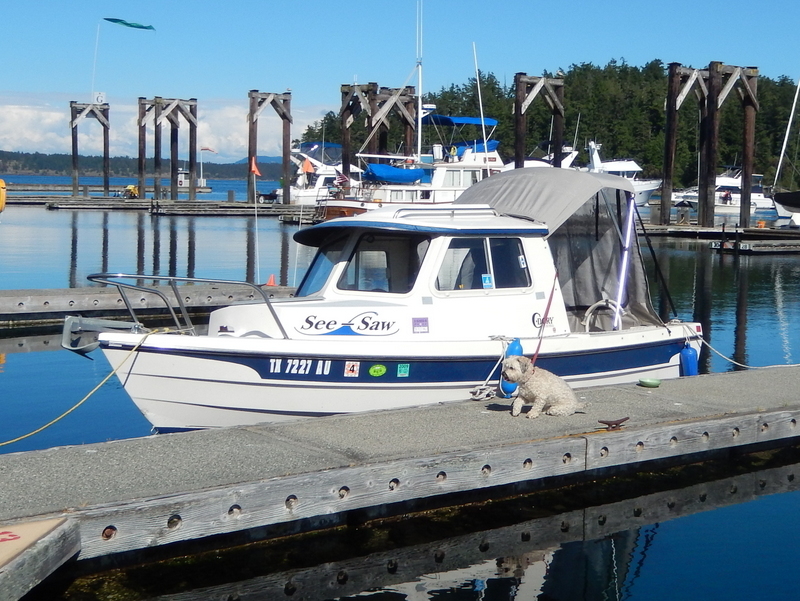 See-Saw, the Rakers’ small pocket cruiser, a C-Dory, at dock in Friday Harbor, in the San Juan Islands in Washington State, with their dog Lindy standing guard. From Amarillo . . . to EVERYWHERE!